Kesha has filed a lawsuit against popular producer Dr. Luke for sexual assault and battery, according to TMZ. Her allegations include physical abuse and drug coercion. Update: Dr. Luke has responded with a lawsuit of his own, claiming that Kesha made up the accusations to get out of her contract. In one instance, Kesha claims he forced her to snort something before getting on a plane … and during the trip he force himself on her while she was drugged. On another occasion, Kesha claims after forcing her to drink with him, Dr. Luke gave her what he called "sober pills." Kesha claims she woke up the following afternoon, naked in Dr. Luke's bed, sore, sick … and with no memory of how she got there. Kesha signed with Dr. Luke when she was 18 and he co-produced her breakout single, "Tik Tok," with Benny Blanco. Kesha says the alleged abuse led her eating disorder — a story TMZ broke earlier this year. She claims Luke said, among other things, "You are not that pretty, you are not that talented, you are just lucky to have me." As we reported, she claims he called her "a fat f***ing refrigerator." Kesha also says there was physical abuse ... once she says he attacked her at his Malibu house where he was "violently thrashing his arms at her." She says she escaped and ran barefoot down PCH and hid in the mountains. "The facts presented in our lawsuit paint a picture of a man who is controlling and willing to commit horrible acts of abuse in an attempt to intimidate an impressionable, talented, young female artist into submission for his personal gain," Mark Geragos, the singer's lawyer, tells TMZ. "Kesha is focused on moving her life and her career beyond this terrible time." The singer spent 60 days in rehab for an eating disorder earlier this year. Luke filed suit hours after Kesha filed her own lawsuit ... accusing him of sexual and physical assault over a period of years. But in Luke's lawsuit ... he says the pack of lies is being engineered by Kesha's mother, Pebe and Kesha's new management firm. 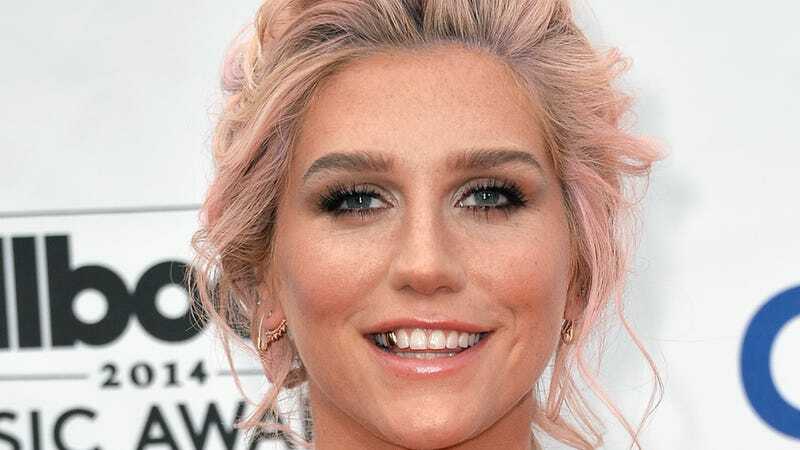 Luke claims Kesha tried to extort him by threatening to spread lies about him to a blogger who started a "Free Kesha" website unless he released her from her recording contract. And Luke's says in his lawsuit he's had a copy of a draft of Kesha's new abuse lawsuit for months, and she was threatening to file it if he didn't release her. In other words, he's alleging more extortion.